The first Sand Bass Lake Lewisville Fishing trip of the day. The Sand Bass run is definitely on. On today’s first trip we caught over 200 sand bass. We filled the live wells to our limits, and had some good catch and release fishing after that. If you don’t have a sweet fish fry in your freezer call me now. You can get a nice limit on sand bass right now. 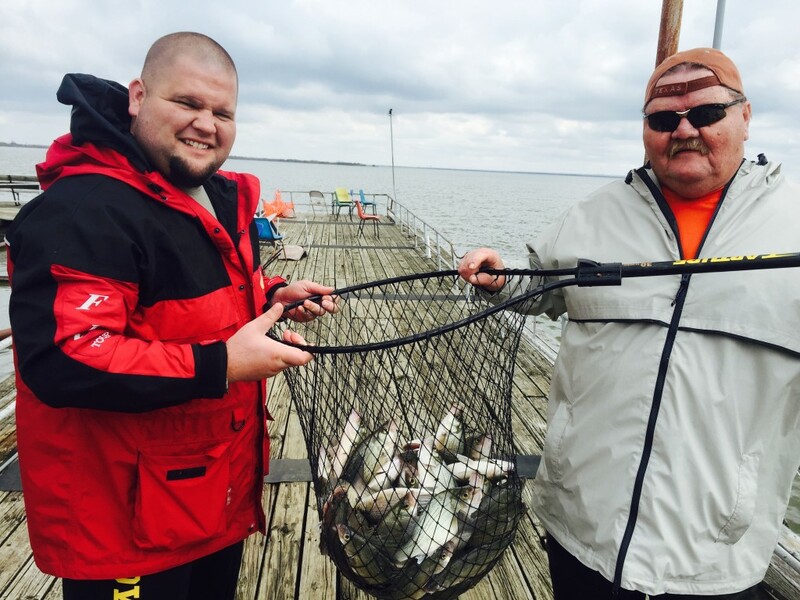 Spring spots fill up fast, so schedule your Hybrid & Sand Bass trip today. 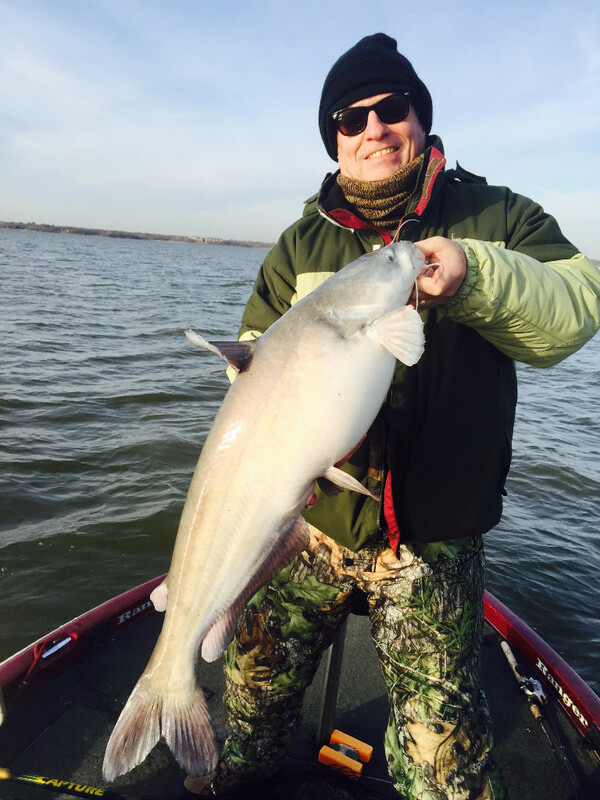 I put my clients on this nice Lake Lewisville Blue Cat today. It was a great trip and we caught a lot of nice slot fish and a couple of trophy’s. 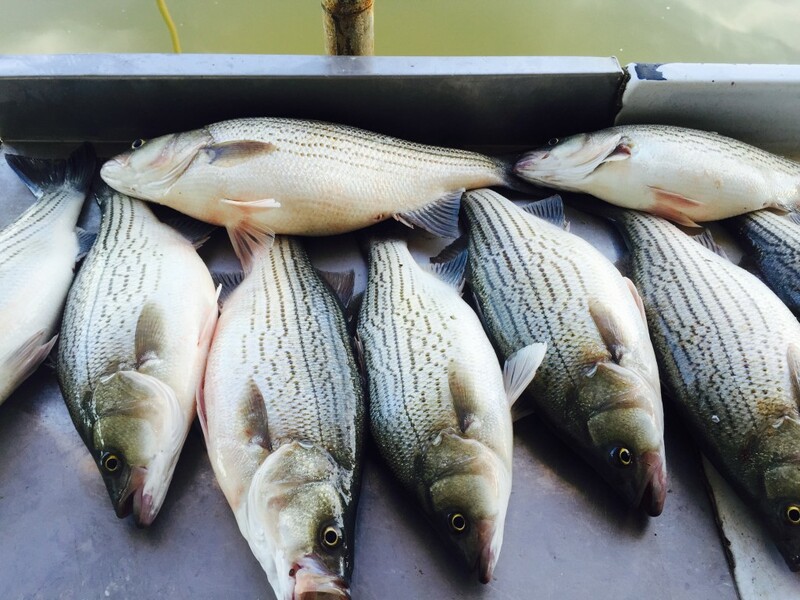 This is the best Texas Catfish Guide experience in North Texas, DFW, Dallas area. Every year I run guided Catfish Tours. Certain times of the year the Blue Catfish Bite is a lot better than other times. In North Texas when the water temp reaches a certain point the Catfish turn on. Lake Lewisville has a slot limit on Blue Catfish to encourage their reproduction and size. Fishing for monster blue Catfish on Lake Lewisville is a unique outdoors experience. Blue Catfish provide a large fish experience on fresh water lakes. Hooking into a big Blue sometimes feels like your hung up on a log. At first it can be hard to tell the difference, until the fish realizes it hooked. Blue Catfish tend to make several runs before they make an appearance on the surface. Large fish pull hooks often and is important to play the fish and wear it down. Blue Catfish have been know to grow over 60 pounds in Lake Lewisville. Every year we certainly break the lake record, but the fishing is so fun most would rather keep fishing than get their fish certified. I have honed my fishing technique over the years to produce large fish. When the big ones are biting conditions may not always be comfortable. Its important to dress warn on these guided trips. The Trophy Blue Catfish run last from Early December to early March. Blue Catfish still feed and caught through out the year, but if your after a trophy the winter months are the best. I have been a Texas Catfish Guide since 1986, and I fish daily on Lake Lewisville, Lake Ray Roberts or Lake Grapevine.